#VintageSciFiMonth Discussion: Why Even Read This Stuff? Hello! I am at ConFusion Science Fiction Convention this weekend, mingling with my nerdfamily, making new friends, and wearing a sticker on my shirt that says “Ask Me About My Kickstarter!”. if you are visiting Little Red Reviewer for the first time because we just met at ConFusion, Welcome! This website is eight years of what I’ve read, what I’ve enjoyed, what I didn’t enjoy, and more. To meet the Andrea from eight years ago, use the archive thingy on the right side of the screen (I have no idea what that will look like on mobile, by the way) to travel back to 2011 or 2010. To meet today’s Andrea, just keep scrolling down, or hit up the Review Index in the menu. 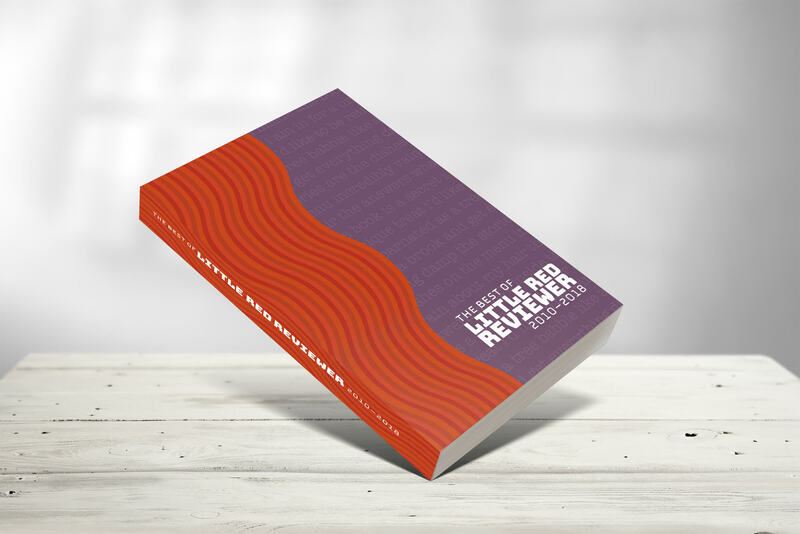 I am Kickstarting The Best of Little Red Reviewer, a print book of my best book reviews. I am super excited about this project, can’t wait to hit my funding goal! Backer reward start at $5, you can get the print book for a pledge of only $15 (plus shipping), and there are some really cool backer rewards starting at $35. The cool stuff is going really fast, btw. Click here for more info that you ever wanted about the project, and links to all the guest posts and interviews I have done about it. 1 Response to "Obligatory Promo Post"
Good luck, and I hadn’t heard of ConFusion. This is great and reading about it now!